Local, client-specific authenticity is becoming increasingly important on the global markets. This development presents new challenges to designers and companies, but also new opportunities. cucory itself as an information clearinghouse where companies can locate creatives with insight into a local market the company wants to enter. And for creative professionals, joining the iD-institute’s curated directory of international designers offers you the opportunity to expand your global professional network. We are a team of design enthusiasts who work to bring companies and creative professionals together for mutually beneficial collaboration. Regina Hanke started her career in 1995 after graduating from the Central Saint Martins College of Art and Design in London as a graphic designer. At the award-winning agency “The Partners“ she learnt how great ideas create a market pull. During her work as a senior designer for “MetaDesign“ Regina Hanke acquired a profound knowledge of branding and corporate design for international corporations such as Volkswagen or Boehringer Ingelheim. In 2006, with an additional degree in marketing, she founded the Lindgrün GmbH, together with Wolfgang Hanke. They positioned their company at the intersection between qualitative market research, strategy, and branding. Their clients include the Volkswagen Corporation, social organizations and lifestyle brands. Since 2009, she has been a board member of the International Design Zentrum (IDZ). Regina Hanke is also a speaker on the topic of Cultural DNA and sustainable Design (for instance at UNESCO Creative City Network Meetings) and regularly works as a partner in research projects on working conditions in the creative industry. Her personal motivation to found the iD-institute is the conviction that micro designers and design companies can only be successful by internationalizing their work just as organizations can only succeed through the “glocalization“ of their products and services. As a co-founder of the iD-institute Wolfgang Hanke is in charge of digital strategy and programming. With a degree in photography he started his career in 1985 by creating the first digital shop systems in Germany. For over 10 years, Wolfgang Hanke was a key figure in the front – and backend programming at CarConfiguration, CRM systems, Customizing- and DataMining systems in the automotive industry. At Lindgrün GmbH he is head of strategy and operations consulting for mobile services at Volkswagen. As head of software development and senior consultant for information systems at “MetaDesign“, he worked with FSB, Whirlpool and other internationally renowned companies. Due to his expertise in combining design and technical know-how, Wolfgang Hanke links digitally based ideas and operative execution. His main challenge in co-creating the iD-institute is to take complex international content in order to simplify, visualize and digitally display it. It is not only a challenge for him but also his greatest passion in the context of this project. Over 25 years experience as creative director in the fields corporate identity, design strategy, branding and advertising as well, in agencies in germany and switzerland. Since 1996 Georg Andreas also works as lecturer at the “design akademie berlin”, university for communications design and marketing communications. He is member of faculty council. Professional training, lecture and workshops „how to create a brand“ as well as extension studies at different universities and academies inland and abroad. Since 2009 he visits india periodically for an intercultural exchange. 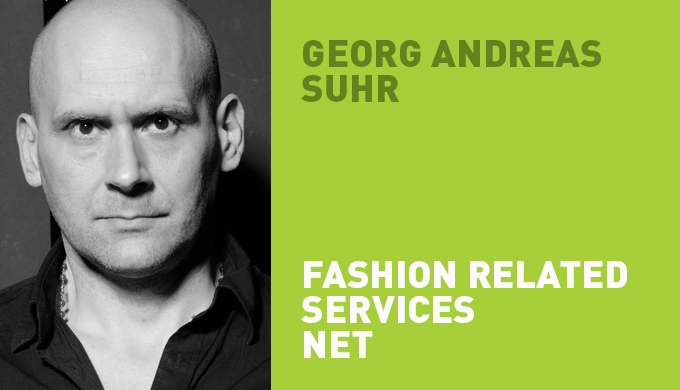 At the moment he works as creative director and division manager production for eurasia fashion related services in berlin and new delhi. Current Awards: CPD International Corporate Design Award 2005 and 2009, Design Award Federal Republic of Germany 2008, LACP Vision Awards Annual Report Competition 2008, ARC Awards Annual Reports 2008. He works for iD-Institute since 2012 and is iD-Consultant and Partner for India.